Olivier Borie has 20 years of experience of Corporate and Operational Management gained through working in Consultancies and at Corporations. He has a degree from the Kedge Business School, a licenciatura from Deusto University (Spain) and a masters in organisation and strategy from the Arts et Métiers. Olivier began his career in internal audit at Club Med at a time when the organisation was going through a major overhaul, including a change in majority shareholding. There he honed his analytical skills and ability to make strategic and operational recommendations. He then spent 10 years working for two consultancies, developing their HR and headhunting departments. In the first, he became a partner in the organisation’s French subsidiary and took responsibility for key accounts such as Bouygues Telecom, Bouygues SA, M6, United Biscuits, Standards & Poors. This experience gave him many insights into the ways people, as a powerful asset, can enhance the performance of organisational structures. In the second consultancy, he had the opportunity to work on organisational transformation and change management projects in complex environments. As Consultant Manager, he implemented significant transformation projects, notably for Air France and Air France Cargo when they built new terminals at Charles de Gaulle and completely overhauled their airport customer journey, luggage journey and aircraft ground handling systems. During this time he was also responsible for: supporting the organisation and implementation of corporate projects for CMG and Groupe Caisses d’Épargne; redesigning business units for Radio France; structuring and implementing manager training paths for France Télévisions, Canal +, Canal Overseas. 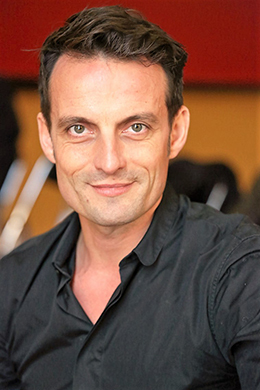 In 2009, Olivier decided to return to the corporate world and re-joined Club Med in the HR Department as Vice President for Organisational Development. In this role he took on the Group’s transformation projects, including steering its corporate strategic project which underpinned all key aspects of the strategic transformation involved in the upscaling process. Olivier’s dedication to organisation, HR and change management led him to take on a new challenge for the next 4 years: the management of the Group’s largest commercial division (€350 million turnover, 150 employees and 41 travel agencies across France). This role involved steering the business while transforming the sales culture in order to make it more customer- and prospect-centric and involved optimising the retail store network; rethinking and deploying a new store concept and the service design; increasing sales team productivity; and simplifying processes. At the end of 2015, he launched his own Retail Performance consultancy, Moon-By Consulting, to develop bespoke and integrated solutions that enable sustainable performance for retail sales networks.